The Flipsiders series of games from Milton Bradley all came in plastic cases designed to look like audiotape cassettes. 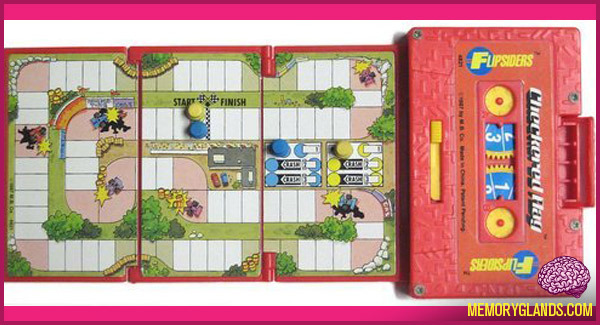 The board flips out from the cassette-sized case, and the “reels” of the cassette are spinners for random numbers or events. The magnetic pawns are stored in the part of the “cassette” where the tape heads normally would read/write the tape.